This toolkit is designed to help you assess your Schools Emergency Supplies and give PTA chairs support if your PTSA/PTA chooses to provide funding and resources. 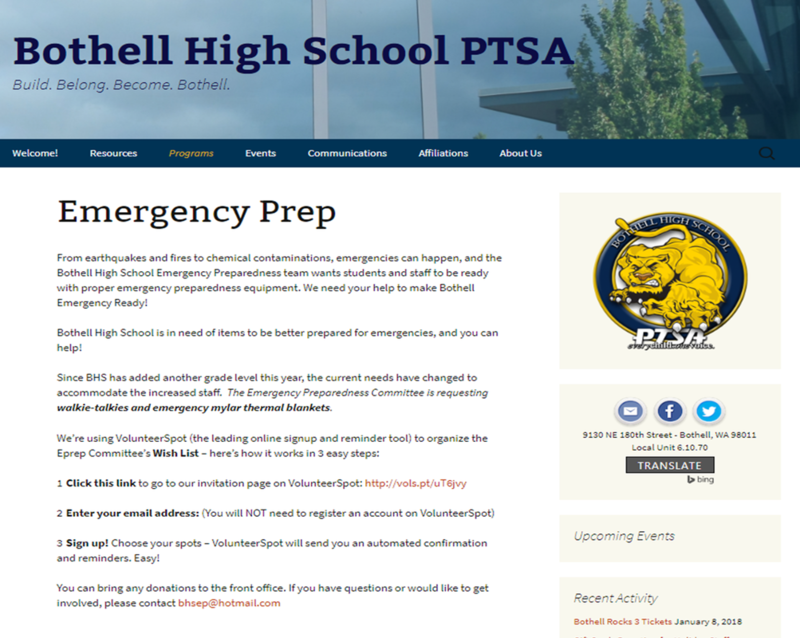 ​When it comes to school emergency preparedness; all aspects of planning, supplies, training, etc. is the school's responsibility. The PTSA/PTA can play a supporting role: We can help the staff and principal with some things. With the permission of the Principal, School Emergency Coordinator, and Nurse there are opportunities to get teachers, parents and students involved in Emergency Preparedness (E-Prep) fund raising, purchasing supplies, inventory audits, restocking, disposal, documenting and overall organizing, Your PTA may also find individual families in need of supplies and come up with creative ways to support them (see Success Stories page). Below is typical process through-out the year. Each PTSA/PTA can improve or change to support their specific needs. This is intended to help new chairs in their role. Note: We recommend that you create a replenishment cycle of 20% per year for food and water to level out PTA costs and make budgeting consistent. Include timelines in your emergency plans for when to replace perishable items. Remember to include in the replace plan, first aid items in addition to food and water. Establish a complete inventory list with expiry dates and inspection dates. Put a copy in your storage container. ​Ensure a budget is established and approved for all E-Prep items purchased. Any E-Prep fund raising activity must be approved in advance by the PTA/PTSA board. Review with your PTA Board and Treasurer what you plan to purchase and what supplier you plan to use. Also show price comparisons from supply sources (Obtain Purchase Approval). Items being purchased should be on the "NSD Recommended Emergency Prep Supplies List_2011-8". Once items are Purchased, ensure all original receipts are included with expense form submission to the Treasurer. It is the E-Prep Chairs responsibility to communicate to the PTA/PTSA board and the Treasurer so there are No Surprises. If you spend more then is in your budget that is not acceptable and the board can deny expenditure beyond the budgeted amount. Budget over runs must be approved before funds are spent and may require a voted by the Board and Members. 3 Minutes without air (oxygen) or in icy water. These kits are intended for each individual child. Work with your School Emergency Coordinator to define the content and name the kits appropriately. Note: Other items maybe included this is a minimum set. 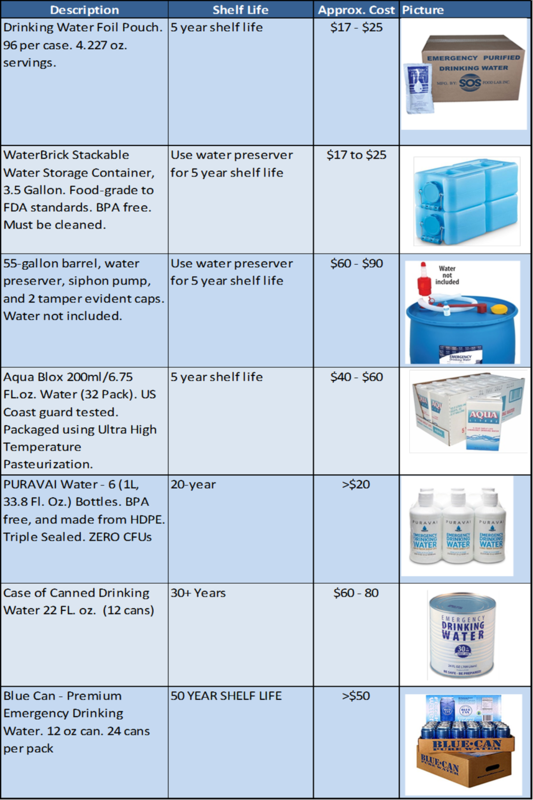 Examples of water storage solutions. Water inventory should be inspected for any damage, review expiry dates, every 6 months to 1 year. Unopened commercially bottled water is the safest and most reliable source of water in an emergency. A food grade water storage container is one that will not transfer noxious or toxic substances into the water it is holding. If you are uncertain whether a package type is food grade you can contact the manufacturer. Ask if that particular container is (US) FDA approved meaning that it is safe for food use. Keep stored water in a place with a fairly constant cool temperature (50-70° F). 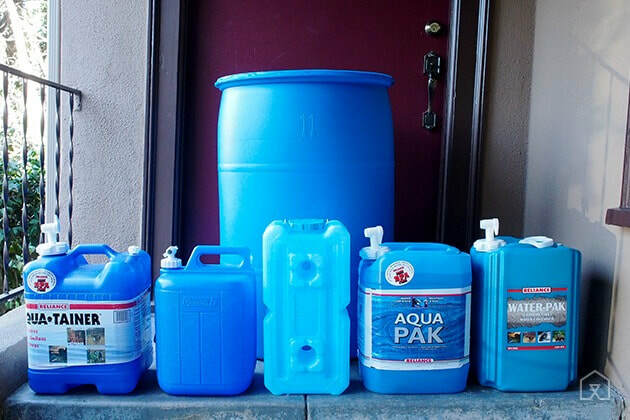 Do not store water containers in areas where toxic substances, such as gasoline or pesticides, are present. ​Note: 55 Gallon Drums are not recommended. They are very heavy when filled with water and extremely difficult to move. 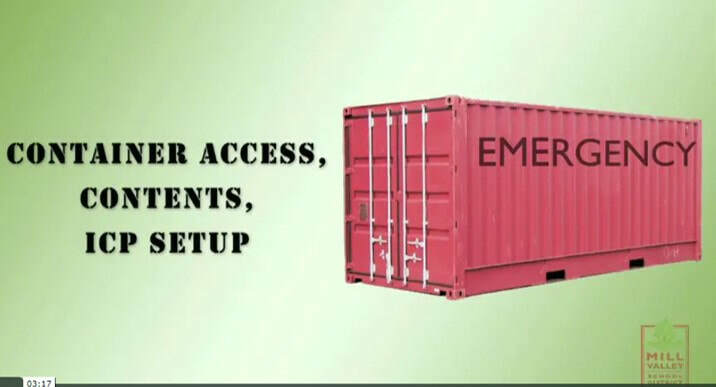 Smaller containers are more portable and usable in a disaster situations. Sanitize the container with a solution made by mixing 1 teaspoon of unscented liquid household chlorine bleach in one quart of water. Let the empty sanitized container air-dry before use OR rinse the empty container with clean, safe water that is available already. 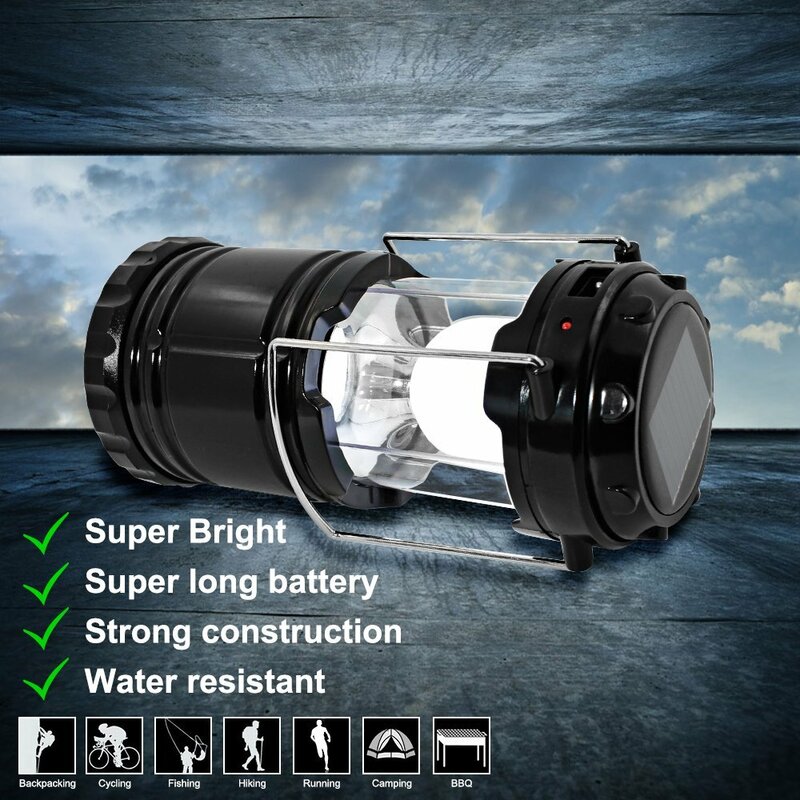 Water Preserver is the first and only product recognized ​and proven effective for 5-year water storage​. Water Preserver is a proprietary formula of stabilized, ph-balanced sodium hypochlorite with highly effective residual action that kills bacteria., viruses, mold, and fungus. The Lifestraw is a hollow-membrane filter built into a straw. it won’t remove microscopic minerals, chemicals, or viruses. You’d need iodine or other methods to eliminate the potential threat of viral diseases Click here for more information. 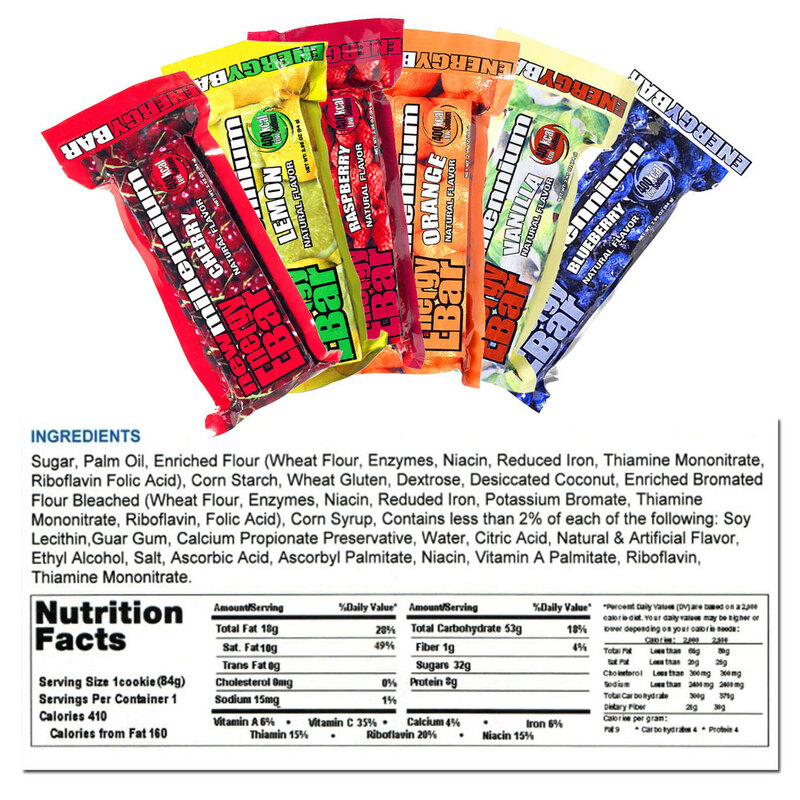 emergency, each person should eat a minimum of 800 calories a day (two 400-calorie bars). Please ensure parents have access to the ingredients list. Obtain the ingredients list when you purchase since it may change over time. This is a more difficult area and very few suppliers have been found. We still need to gather more information. If you find more foods and or suppliers please contact us so we can add them to this section. Here is the one bar that we have found that is advertised as gluten free. We have determined they have a 9 month shelf life. Please contact supplier for ingredients and more information. note: LÄRABAR was acquired by the Natural and Organic Division of General Mills called Small Planet Foods in June 2008. ​​Store batteries separately when not in use (they last longer). Remember to put an expire date on the box/package. The goal is keep them dry , cool away from heat and not touching each other or metal. How do I clean an alkaline battery acid? we recommend storing it in a clean, dry, cool place away from heat and metal objects. NiCad, NiMH and Li-Ion batteries will self-discharge during storage; remember to break them in before use. With appropriate care and use, you should expect 2-7 years from most rechargeable batteries. Note 1: "The NSD Emergency Plan states that Millennium Bars are a good source to meet caloric needs and are easy to store. Each bar contains 400 calories; 3 bars needed per person, per day. 5-year shelf life." Suppliers may say that most school districts and many other NSD schools require only 800 cal per student per day (2 Bars). To clarify, the minimum is 2 protein bars 800 cal/student/day (The Coast Guard guideline for lifeboats is 800 calories per person per day). You may have more then 2 protein bars / student /day as your team sees fit. Note 2: Shelter-in-place - Shelter-in-Place is a designation meant to address exterior atmospheric hazards, such as a gas leak in the neighborhood or ash from a nearby fire. In Shelter-in-Place mode, all students are brought indoors; windows are closed, locked and possibly taped; fans/HVAC are turned off; and towels may be placed under doors. 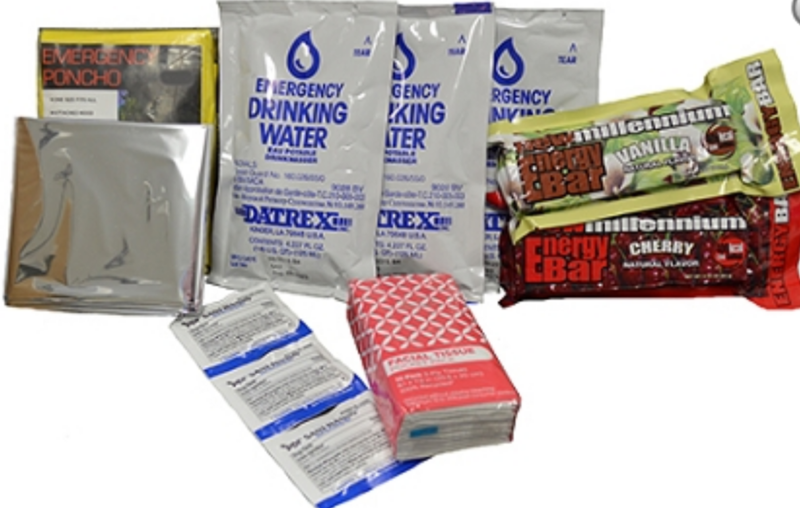 ​Below are suggested emergency supplies in preparation for either an evacuation or an emergency that requires students and staff to shelter in place. Large quantity purchases can be negotiated, ask for a discount and obtain a quote. The below list in some cases are local suppliers and have been used by PTA's. Restricted diets need extra planning for emergency preparedness. 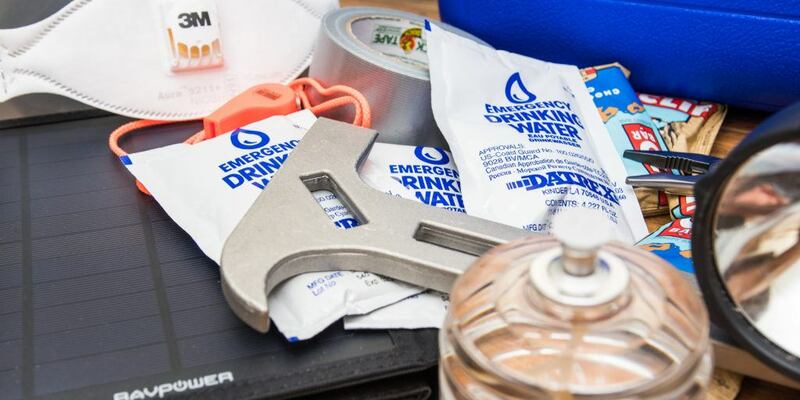 What should you put in a disaster kit? That depends on your child's medical and food allergy needs as well as the types of emergencies that are most likely to occur in your area. Each Parent needs to work with their school Nurse, class teacher and school Emergency Coordinator to ensure a safe food plan is in place. 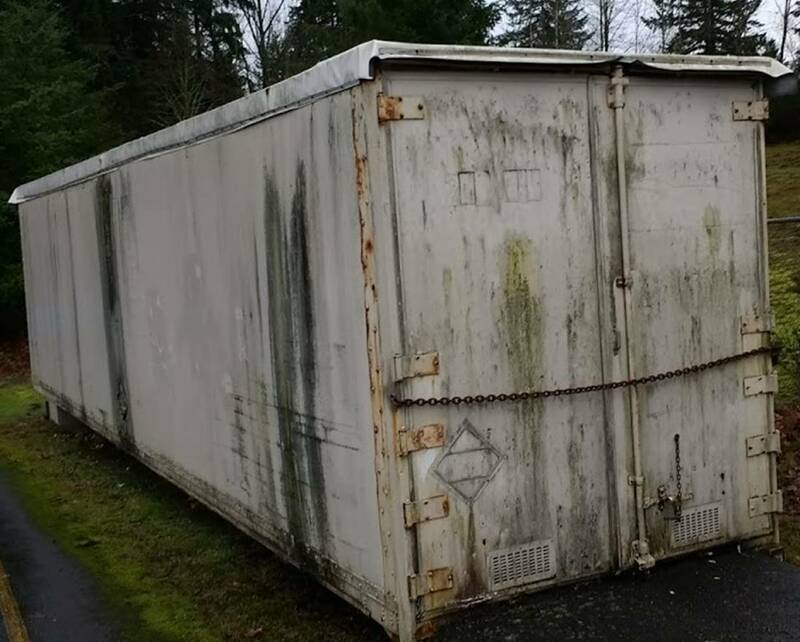 ​The maintenance, repair or replacement of the storage container lies with the school and Northshore School District. ​ We recommend that you build a collaborative working relationship with the Principal, Nurse and Emergency Coordinator to help them to prioritize issues and ensure that these needs are incorporated into the NSD’s proposed budget via the school administration. 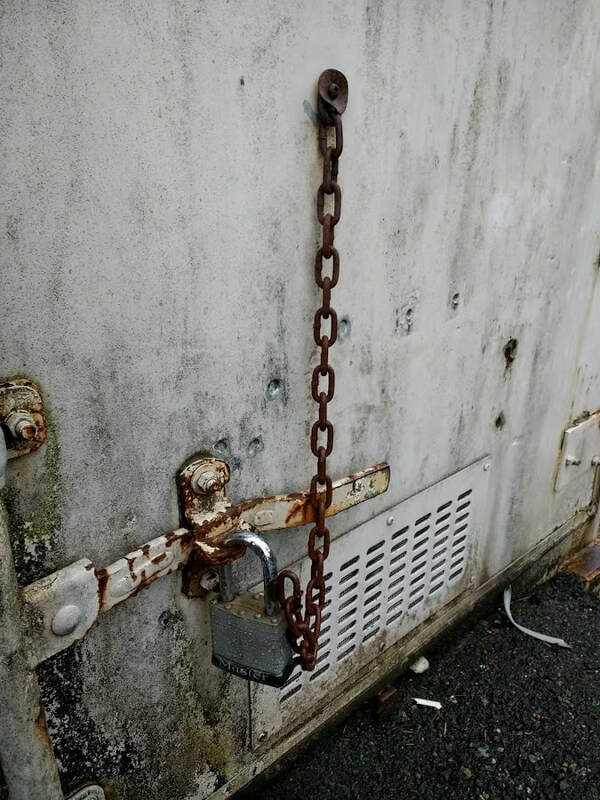 The container below had welded brackets installed so a chain could be attached with an additional lock. ​We do not want mold to grow in your storage units. DampRid’s crystals absorb excess moisture in the air to create and maintain the optimal humidity level in your home, storage areas, cabin, boat, car, RV or wherever moisture is a problem. Your team may wish to consider putting straps around shelves and big items to hold them in place during a large earth quake. See picture below, note that they have also labeled bins per the FEMA IS-100 Incident Command Structure for each position in the school (every schools principal has taken the training). Emergency Kit zip-top bags are removed from their cardboard shipping box and put is sealed rugged containers built to keep critters out. 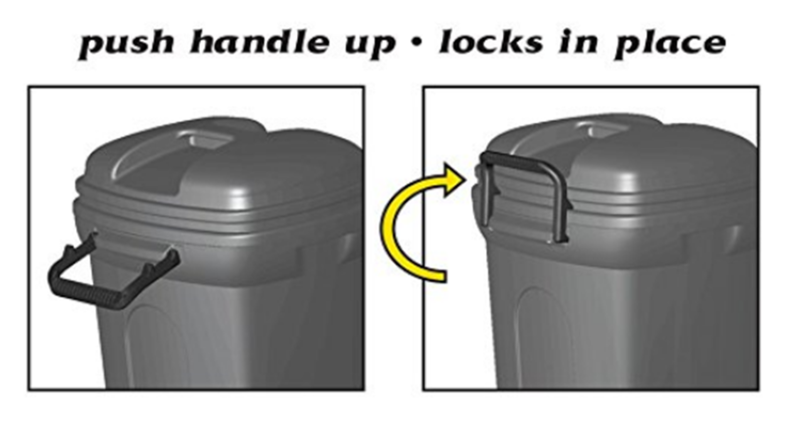 One possible method is to use 32/34 Gallon wheeled trash can with Turn & Lock or Hook & Lock Lid. Label each container with a visible expire date. 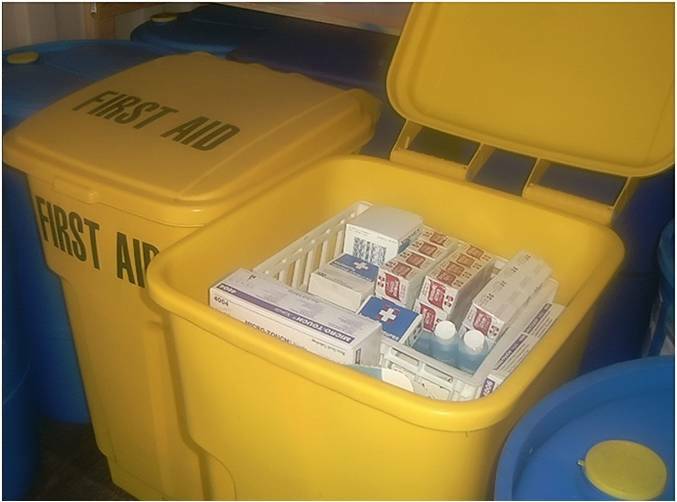 First Aid Supplies should be the first items available to remove from your storage container. 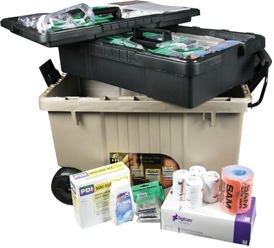 Large commercial first aid kits should be stored in cargo containers. Such kits are typically sufficient for up to 400 people, though this does not mean 400 injuries. The kits assume only a portion of the people will require first aid. Cardboard boxes aren’t reliable in disaster scenarios, as water can seep through and cause irreparable damage to the contents within. When preparing for disaster, you need to ensure that your supplies are safely stored in plastic crates and easy to access. To keep yourself organized, it’s important to possess an adequate number of plastic boxes (18 or 35 Gallon Storage tote) for food, gear and miscellaneous emergency supplies. Label each container with contents and a visible expire date. In an emergency, you will need an area for a latrine if toilets are not working because the water supply is out or if bathrooms are not accessible. Simple "bucket" toilets can be used to store supplies until needed. The ideal ratio is 1 bucket for every 100 students/staff. In addition to the bucket itself, be sure to store toilet paper, a privacy partition (such as a tarp or large cardboard enclosures), hand sanitizer gel (Soap and water, in addition to the wet wipes, is strongly advised*), and other related items. Unpack the shelters and make sure everyone knows how to assemble them. Ensure that all the parts are present. Use Light sticks since they do not require batteries. 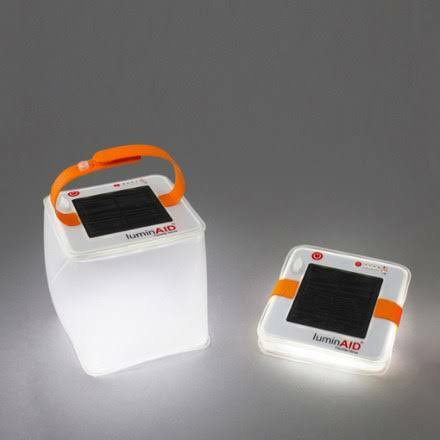 Extra bright solar powered LED lantern. Multiple brightness settings make it a perfect indoor or outdoor light. 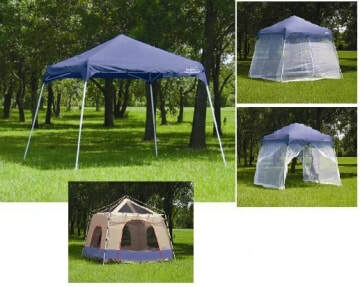 Lightweight, inflatable, collapsible, waterproof (IP67), shatterproof, and dustproof. Completely safe for children. Each parent needs to work with their class Teacher, school Nurse and school Emergency Coordinator to ensure a plan is in place. A current copy of your child’s Care Plan, including the In Case of Emergency Form. Share with school Nurse and Teacher. Current medical information and records stored on a CD, flash drive, or phone app (keep one paper copy in a waterproof bag). Batteries for hearing aids and communication devices. Special dietary foods and supplies. Items that calm or entertain your child. Identification to be carried by each child in case your family gets separated. A home generator for back up power support (due to deadly fumes, never use a generator indoors). An AC adaptor for your car to charge small electrical equipment such as a nebulizer. Battery powered versions of medical equipment your child uses. Manual wheelchair or other non-electric equipment. Backup chargers for cell phones. 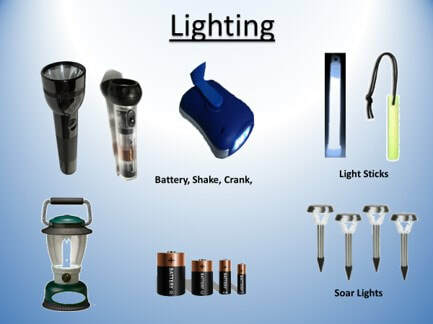 This include a hand-cranked USB cell phone emergency charger, a solar charger, or a battery pack. Some weather radios have a built in hand crank charger. Backup chargers for a laptop or tablet could include a 12V USB adapter that plugs into a car, an inverter, or a battery jump pack with a USB port. Talk with your child’s doctor about how to get an emergency supply of medicines. If your child takes medicine given by a clinic or hospital, talk with them about how to plan for a stoppage due to a disaster. Ask your pharmacist how long the medicine can last and storage needs of the medicines. Keep a two-week supply of medical care items such as needles, nasal cannulas, bandages, etc. Keep a cooler and chemical ice packs for storing medications that must be kept cold. Keep prescription information in your wallet, survival kit and car that includes the name, location and phone number of an out of town pharmacy. 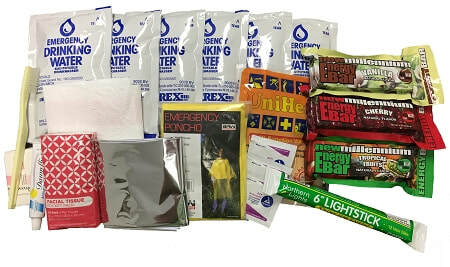 Pack smaller “to go” kits for use in an evacuation. Store them in multiple places such as your car, at work and at school. Update supplies yearly, replace water every six months, and update emergency contact and medical forms as needed. If you can’t contact your doctor or pharmacy in a disaster, ask for help from emergency responders or staff at emergency shelters or service centers. You can get help in getting medication from a Red Cross shelter or by dialing 211 for the Washington State Information Network. You can help by preparing a simple emergency card for your student in their backpack that includes: Their name, month/year of birth (for medication dispensing), address, parent’s name/phone (home/cell), allergies, medical conditions, and if he or she wears contact lenses. For the student’s own benefit, you may wish to include your cell and work phone numbers, as well as your family’s out-of-state contact person’s name and phone numbers. ​Below are ways you can help our schools stay prepared. In addition to the school community supply we have a kit that gets handed to each child during an emergency event. New children to the school are requested to pay a fee for a emergency kit and we encourage all parents to donate funds towards kits to help families in need. These funds enable purchase and storage of the kits in the school storage container separate from the school building. ​The PTA can organize fundraisers to raise money to purchase supplies for the students and faculty. Traditional ways to raise funds involve selling magazines, gift wrap, cookie dough and candy. Many schools have been looking for more creative ideas that involve more practical or useful items. One such idea is selling Emergency Kits to raise money to buy Emergency Kits. Not only are you helping the families who purchase kits for their own homes, they know the funds are going to a much-needed cause. Offer Child Identification/DNA/Finger printing/Photo I.D. Grants can be provided to support specific supplies related needs. Obtain your PTA's form and complete. It is always recommended that you have conversations with the PTA board to ensure they have an available budget. ​Suppliers and the community will often donate money or supplies to help those in need. Identify supplies needed and canvas for them. (see Success Stories page). Often PTA's often obtain sponsors and in return put their names on a sponsor webpage. ​Many donations from retail stores require the local PTA provide a letter (with PTA letterhead) that provides the 501(c)(3 ) non-profit information. 501(c) organization, or simply a 501(c), is a tax-exempt nonprofit organization in the United States. Our E-Prep Supplies Storage container has rodents. WhaT is our PTA's responsibility? ​The Hantavirus is from rodents usually spread by inhaling the virus, skin contact with rodent urine and droppings which can also result in infection. This is a real health hazard and trained professionals should decontaminate and clean the storage container/contents. When it comes to school emergency preparedness; all aspects of planning, supplies, training, etc. is the school's responsibility. 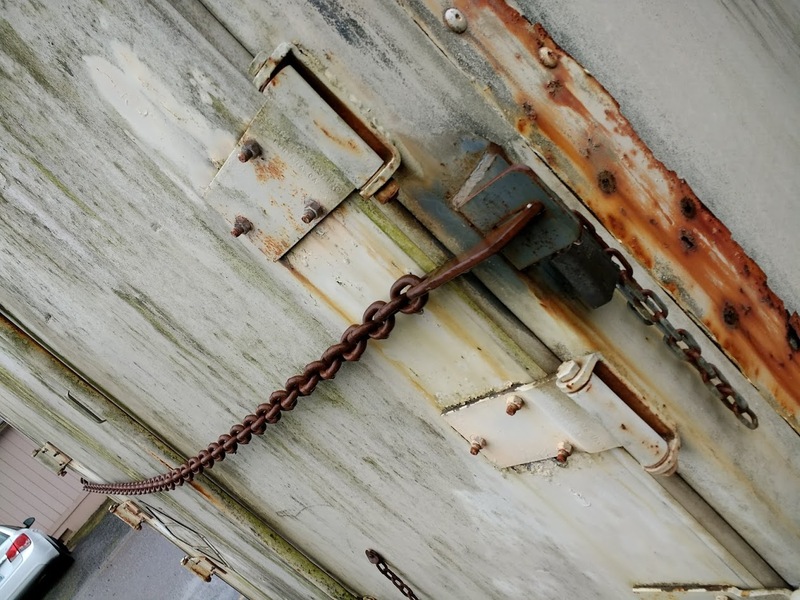 ​ The PTSA/PTA can play a supporting role and choose to help the staff and principal with emergency prep, but the responsibility for the maintenance, repair or replacement of the storage container lies with the school. ​We recommend that you build a collaborative working relationship with the school Principal and Emergency Coordinator to help them to prioritize this issue and ensure that these needs are incorporated into the NSD’s Budget via the school administration. Does the PTA Pay for E-Prep Supplies? ​While PTSA/PTA's are not responsible for funding the replacement of supplies, many PTA’s do an annual budget line item for E-Prep and help arrange funding via PTA grants or fund raising. It is up to each individual PTSA/PTA to decide if and how much they will fund through their grant process each year. We have mold in our Supplies Storage container, what do we do? Who is responsible to clean it up? Most everyone these days has heard that exposure to mold is dangerous. Mold can cause Respiratory problems, such as wheezing and difficulty breathing, chest tightness. We hear news reports every now and then that toxic black mold is deadly. ... Black mold is most often associated with the mold species Stachybotrys chartarum. This is a real health hazard and trained professionals should decontaminate and clean the storage container/contents. When it comes to school emergency preparedness (plans, supplies, training, etc) it is the school that is responsible. 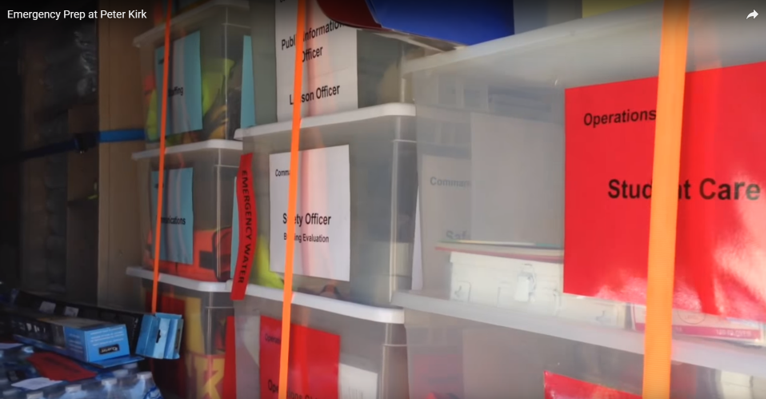 The PTSA/PTA can play a supporting role and choose to help the staff and principal with emergency prep, but the responsibility for the maintenance, repair or replacement of the storage container lies with the school. Our Supplies have been stolen, what is the PTA role? The School is responsible for filing the police report and ensuring replacement of all items stolen. Many PTA’s do an annual budget line item for E-Prep and help arrange funding via PTA grants or fund raising. It is up to each individual PTSA/PTA to decide if and how much they will fund through their grant process each year. What is a comfort Kit or a student Emergency Preparedness Kit? Why do we need it? The kit is an important part of ensuring each child has food, water, protection from the rain/elements and a blanket during an emergency. ​A 3-day supply of food and water, as well as blankets, shelter, and other necessary items is keep for our children ensuring they are sheltered, fed and warm. We have a supplier that we want to use but they are not on the councils Supplier list can we use them? Yes you can. We want your feedback so we have the very best suppliers. We will add or delete suppliers based upon performance, price and over all satisfaction with support. ​Like most of the schools we deal with power outages almost every winter. What's the best way to manage batteries to keep lanterns ready without risking leaking. Are there better back up light options? If you don't plan on using the battery for a month or more,we recommend storing it in a clean, dry, cool place away from heat and metal objects. ​. Is a water filter a better option for us? Should we have a supply of both packaged water and a filter so we can use stream water? What is the best filter to get and do they have a shelf life. 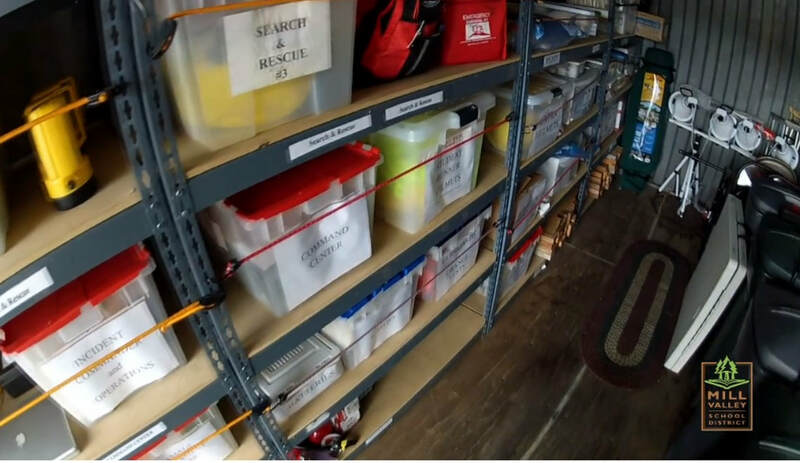 How to best organize and manage inventory and make items accessible in order of importance during an emergency.